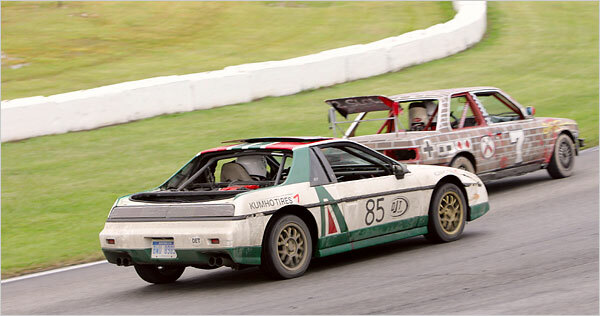 Nevertheless, the competition exemplifies what racing is all about – namely trying to use zip ties and a bin of miscellaneous nuts and bolts to keep a car on the road. Track days represent some of my fondest memories from my days in the race car world, and I’m pretty sure that my crew from Hudson Historics could win this race by a landslide. Then again, with veteran LeMans team mechanics for Pratt & Miller as the defending champs, it’s clearly no easy task to take home the first place prize of $1500… in nickels.